Marketers shouldn't underestimate the power of a customized player experience for delivering video to target audiences. We're talking about more than just a custom color theme: branded video players can create a consistent look and feel, travel with content wherever videos are embedded, and contain unique interactive elements to match your content. We'll walk through a few reasons why custom player themes are so powerful and so easily achieved with Brightcove. Customization is key. Custom player themes can pull brand associations through the duration of a video, regardless of length or content. Whether integrating large format HD video into a seamless page with an unobtrusive chromeless player or reiterating brand assets like colors, logos, and slogans throughout elements on a page, players can have a huge impact on how viewers interact with and consume your content. Customization doesn't have to mean DIY. Creating a branded video experience doesn't mean you have to force your web developers to code complete players from thin air. Brightcove offers the complete heavy duty video platform while enabling complete customization of the viewer experience. Instead of wasting time building out the backend, your web developers can focus on creating a specific visual and interactive experience that will have the greatest impact on customers to match your content and your brand. Customization is easy. All Brightcove customers can adjust color schemes and fonts and insert logos into standard video players right out of the box. For Pro and Enterprise customers, Brightcove's BEML (Brightcove Experience Markup Language) based on XML makes it simple for you to customize the colors, themes, and behaviors and to combine standard and custom player components into an infinite number of possible layouts. 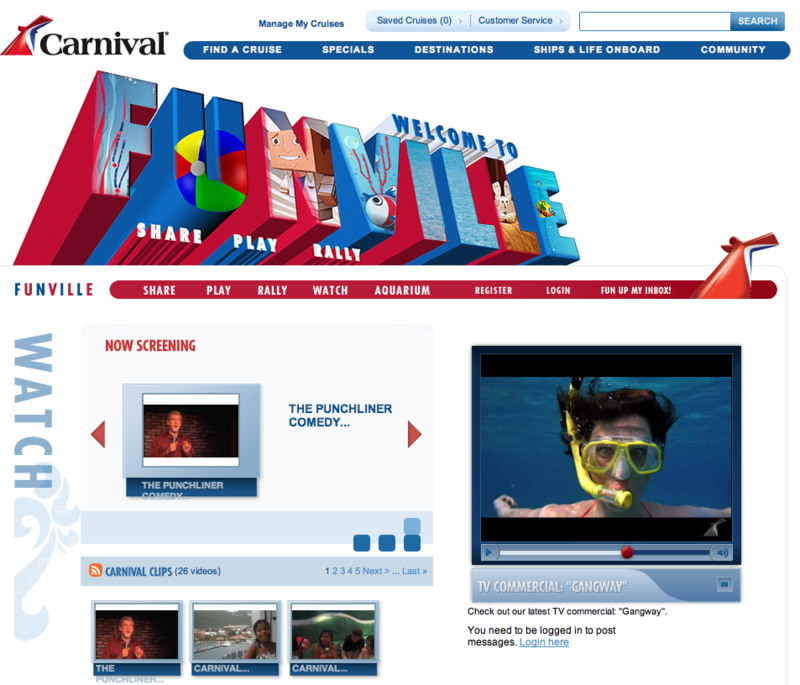 Carnival's Funville player illustrates how video can be wrapped in ways to reiterate brand associations and create a consistent and complete look and feel on any branded site. More: check out a complete tutorial on how to build custom player themes with BEML.